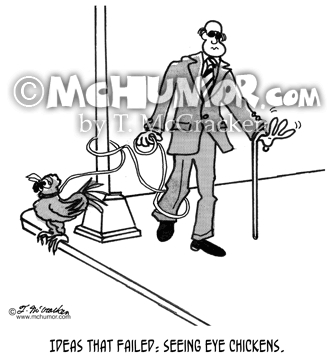 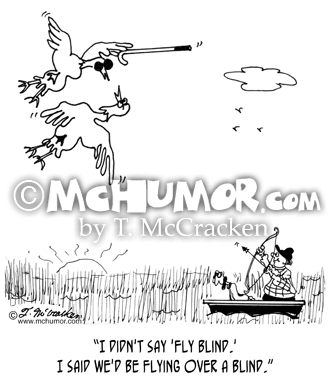 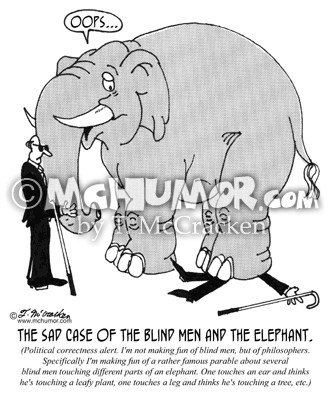 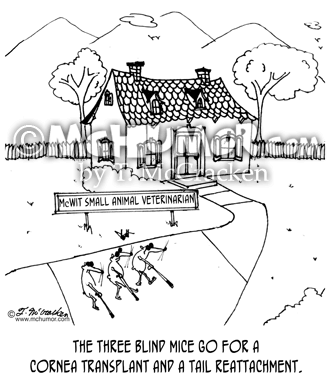 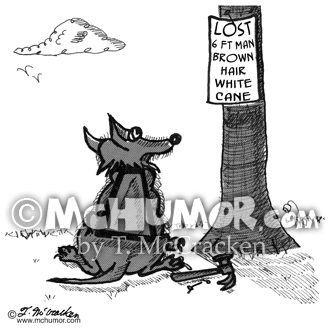 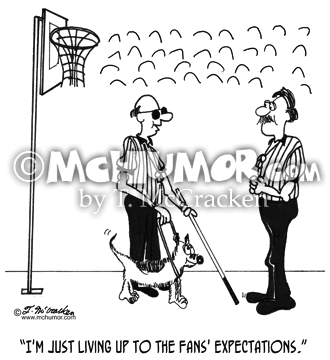 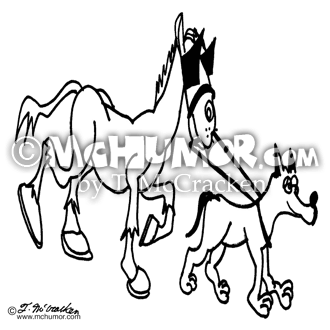 Basketball Cartoon 4817: A basketball referee wearing dark glasses and using a white cane says to another, "I'm just living up to the fans' expectations." 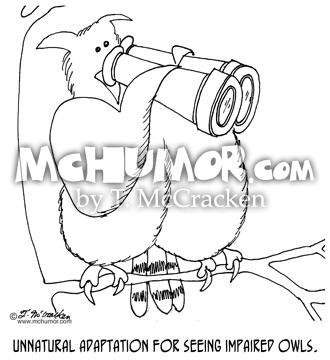 Owl Cartoon 7411: An owl with binoculars. 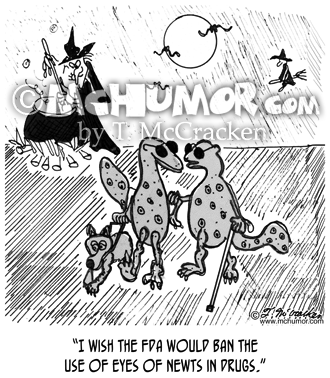 "Unnatural adaptation for seeing impaired owls." 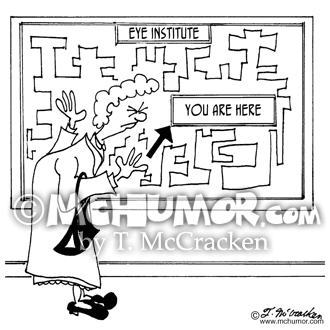 Eye Cartoon 7120: Someone at an Eye Institute squints to read the “You Are Here” arrow on a site map.